This new way to raise funds for a project or even a company seemed to be the perfect way for any business, small or big, to easily gain money from investors. 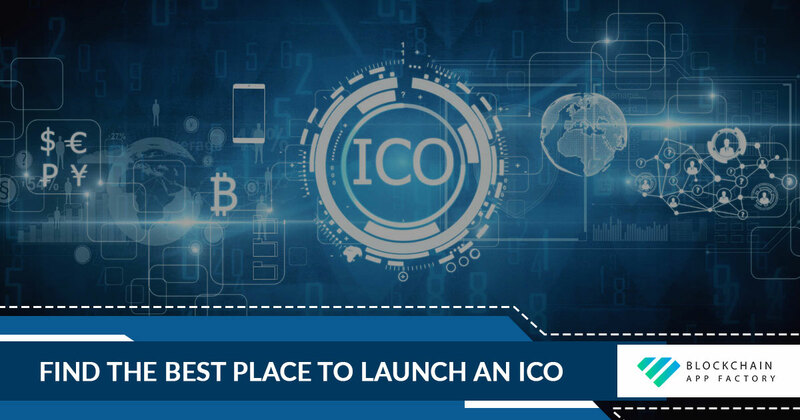 As it rapidly grew, startups raised approximately $22 billion with ICO launches, regulatory organs started to pay some attention to it. The main problem for the national authorities was the risk of money laundering and lack of consumer protection. This turned out to be a very serious concern indeed because a big number of coins offering turned out to be scams. For that the same reason, investors also started to be interested in regulations of this type of offering. Some countries quickly recognized this type of offering as an opportunity to encourage new business models and started thinking of laws that could beneficiate both sides. Other nations, on the other hand, instead of trying to find a way to make initial coin offering more safe for citizens, many countries actually banned not only the ICO but also crypto coins and its trades. There are some bumps that keep the development of coin offering regulation to go forward. With digitalization, blockchain transactions and trades between countries have become more usual. This means that governments need to work together to define standards. But of course, this is not as simple as it sounds. Protect investors and support innovation is also another issue authorities seem to have. How to promote new and risky projects and also make people aware of it without making them back out? This is a question that needs to answer for many nations, yet. Last, but not least, flexibility is also a problem. Regulation needs to be adaptable to each ICO and the token they offer (some give access to buy services while other grants participate right, for instance). That said, let’s do an overview on ICO Regulations Across the Globe🌎. Asia is the continent where the digital currencies find most barriers. China, a big hub for tech companies, actually prohibited ICO and even fiat to crypto trading in September 2017. Following the same line of thought, South Korea took a similar decision right after. Although that’s the current situation, South Korea’s legislative arm is trying to change the resolution. This type of thinking is making some potential and profitable business, such as Binance, to move its bases to cryptocurrency friendly place. That’s exactly what Binance, one of the top cryptocurrency exchange platform in the blockchain world, has done. After having issues in China and Japan, now they are based in Malta, one of the countries that embraced digital coins. Most of the countries in Europe allows cryptocurrency and coin offering, but don’t have a specific regulation. Malta is one the countries that embrace blockchain and everything that comes with it. They enacted a law to regulate the blockchain activities and even create a supervision authority to make sure everything is within the regulations. Regardardlying European Union (EU), they don’t have a specific legal base, yet, but are interested in regulating and prepare the whole EU on the matter. Australia was actually one of the first nations to officially release ICO regulations and make sure everything would be in line for the potential investors and their citizens. Their approach was to create clear guidelines on how Initial Coin Offering should proceed. They oblige ICOs that combine investments to join the Corporation Act, so that way they can keep track of the ico issuance, for an example. Canada recognizes cryptocurrency as an intangible asset and expects that in near future commercial altcoin dealers can be registered and regulated as a money service business. The Canadian Securities Administrators have ruled that ICO and altcoins are subject to regulation on a case-by-case basis (this is the kind of flexibility we talked about). In the USA, digital currency and ICO are permitted, but under heavy regulations and it changes depending on the states. The altcoins are also classified as securities. On a federal level, there’s no ban to ICO, but national authorities have some different opinions on how it should be handled. But just as Canada, regulation can vary depending on whether the token is a utility or security. Blockchain technology and virtual currency are well accepted in South America, but talking about regulations, there’s a lot to be done. Bolivia is one of the nations in this part of the world that has a strict policy about altcoin. To be allowed in the country, national institutions must approve the virtual currency, which makes harder to launch an ICO. In Brazil, the biggest country in South America, the tax authority requires that people who buy and sells virtual coins to pay an income tax of 15% on earning for amounts over R$ 35.000 (approximately $9,000). Ecuador is one of the places that banned altcoins for good since the country is developing its own cryptocurrency. They hope to take the nation off of dependency on the American Dollar with this new coin. The awareness about the matter is slowly increasing, although the governments are aware of the fact, they still don’t know how to act. In many nations, public and private organs see the potential of blockchain development and token/coin offering but are still trying to understand how it will fit in the current financial market. To hire the top blockchain experts from Blockchain App Factory send us your requirement and other relevant details via the form attached underneath. What, Why and How to Tokenize?